Do you read aloud to your children? If you’ve followed my blog for any length of time, you already know that I do read aloud every day. Actually, I typically read aloud several times each day. We have four read-alouds going at any given time. I have a “general” read-aloud that I start our day with. This is typically a classic that I want Emma to have experienced. Over the years, I’ve read Pollyanna, The Railway Children, Little Women, The Secret Garden, Anne of Green Gables, The Ballet Shoes, and Lassie Come Home. Before reading those books to Emma, I had never read them myself. I love this time each morning when we can explore new books together. There are many benefits to reading aloud – even after your child can read on their own. Children can build their vocabularies just by listening to mom and dad read to them. The reason why is that they can comprehend what they hear long before they can read it themselves. I frequently read books above my kids’ grade levels in order to challenge them. Books allow us to explore cultures and situations that we might not encounter in our own communities. We can get a glimpse of how others live, and encounter experiences outside our norm. They get exposed to books they might not choose to read on their own. The Secret Garden is one book I can think of that Emma just couldn’t get into on her own. She doesn’t do well with books that have an old English dialect in them. She gets so hung up on trying to decipher the conversation that she can’t enjoy the storyline. However, she begged for ‘one more chapter’ every time I picked this up to read to her. When she didn’t have to decipher, she was able to get into the story and couldn’t get enough of it. When children listen to us read aloud, they are building their concentration skills. They don’t have to be still, but they have to be quiet so they can focus on the story. Emma loves to color while I read out loud. My boys enjoyed playing with play-doh or building with LEGOs. I found they could listen longer if their hands were busy. If not, they tended to zone out. Discussing the books we read also helps kids build comprehension skills. Many times, we have finished read-aloud time deep in discussion about the selection I just read. It’s a great way to check in and make sure your kids are really focused. Do you still read-aloud? I love it and so does Emma! You are so right! Reading with our children is so important for their education. It is also one of the greatest pleasures of parenting. I read aloud often! My child is eleven now and my husband is dyslexic, and we often spend a wintery day with the two of them on their bellies on the floor with the colorbooks and crayons while I read to them. We have read the Chronicles of Narnia, all of the Little House books by Laura Ingalls Wilder, The Secret Garden (my daughter had that same problem with the dialects! ), The Hobbit, several books by Louis L’Amour, and Evangeline by Henry Wadsworth Longfellow. We have also read some more modern books like 50 Rules Kids Won’t Learn in School by Charles J. Sykes and an occasional documentary or biography. I’ve never heard of some of these. I’ll have to check them out. Yes, yes, yes! I love to still read aloud- even with my teens. We’ve had some great discussions revolving around these books. Like you, my first exposure to stories like A Secret Garden and Pollyanna was with my own children. 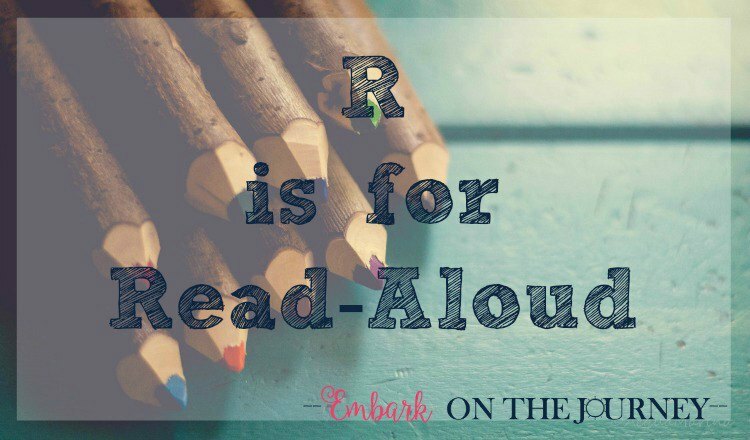 We have relied heavily on read-alouds and audiobooks in our homeschool since my oldest daughter has struggled with reading from the beginning. We also take audiobooks along on all road trips.